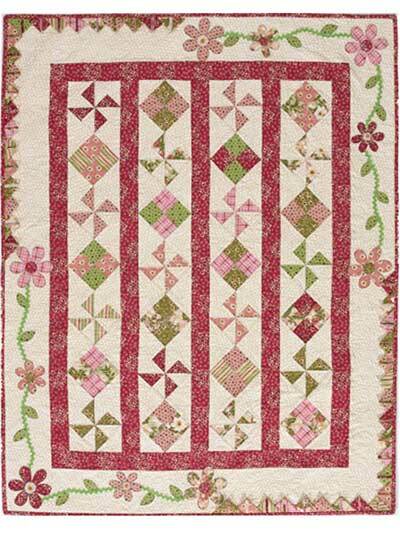 This precious quilt pattern is perfect for both boys and girls! 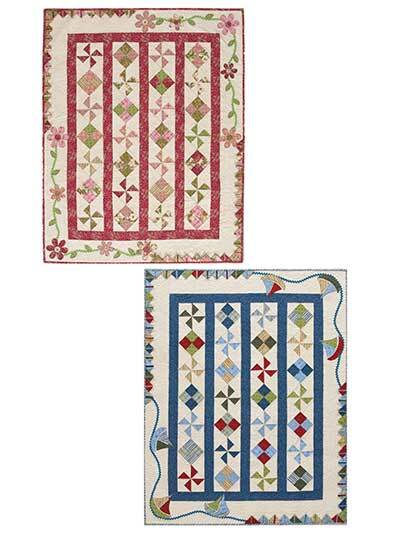 Jack and Jill ran up the hill -- and had a picnic on their lovely, customized quilts! Or at least that’s how it would have gone if they’d had the fortune to possess these adorable quilts! 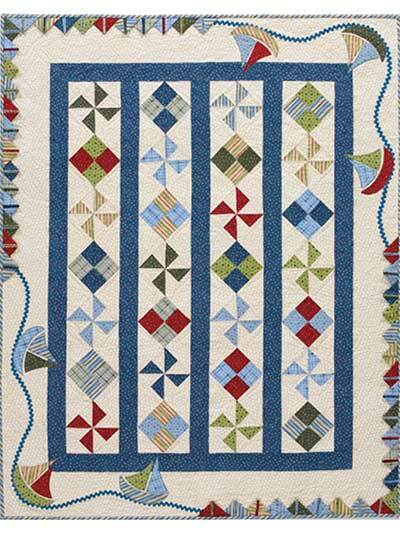 Jack’s quilt has sailboats sailing in the blue, and Jill’s quilt has pretty flowers blooming along the edge. Each quilt uses a unique rickrack design to add a little something extra.